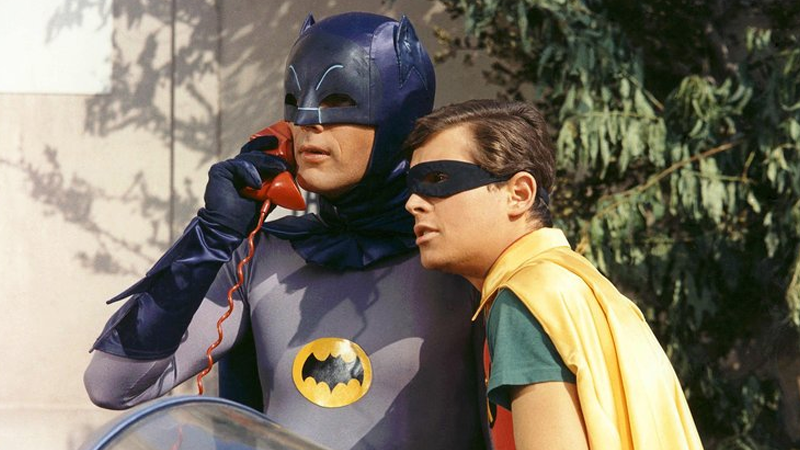 The dearly missed Adam West as Batman, alongside Burt Ward as Robin. Apparently it wasn’t only the bad guys who got biffed and pow’d on the 1966 Batman show. It was a very dangerous show to make. I was in the emergency hospital the first four of the six days of filming. [I had] second-degree burns, my nose [got] broken by a two-by-four landing on it from explosions. Let me tell you something, it was a lot of fun, it’s really very simple. It was a fantastic show to do, everything was as great doing as you see it on television. The only two horrible things: It was very dangerous and [I had] a costume that was not a lot of fun to wear. Man was not built for tights. Holy health and safety, Batman! Although there’s a certain charm to Ward putting “getting blown up by explosions” and “I had to wear tights” on an equal level of discomfort, thankfully his injuries didn’t end up being too severe. After all, he’d spend a few more seasons getting attacked by Gotham’s finest rogues on the show. You can check out the rest of the interview at the link below.